Looks like Cliffhanger finally got some new signage. Looks good! AND here they are! They finally arrived and are on the tracks. I was told that hopefully the ride should be ready within 2-3 weeks, so keep your fingers crossed. 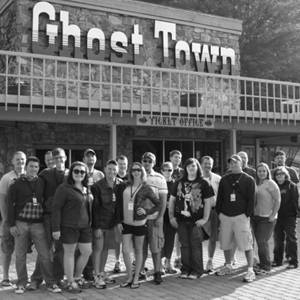 In the meantime, I have put some links below if you would like to check out other pictures from Ghost Town, starting back when it was closed, all the way up to the grand opening in 2007! Holla!